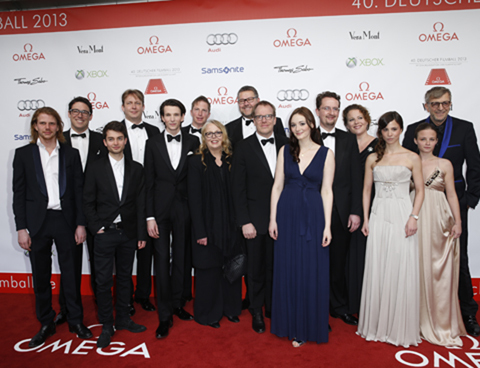 Next to important names of German film industry such as Florian David Fitz, Iris Berben oder Heiner Lauterbach also new people have been under the around 1.000 invited guests – For the 3rd time NEW FACES@DEUTSCHER FILMBALL are chosen in cooperation with BUNTE from sponsors like Omega, Audi, Vera Mont, Thomas Sabo, Xbox oder Samsonite. For the anniversary the Kreissparkasse presented over 200 picture with the highlights from the past and on the 17th published BUNTE a 52-pages special edition. The ball was opened from the bavarian minister Thomas Kreuzer and Nina Eiching & Sven Gaetjen were leading charming through the evening. Services: Concept, overall organisation, entertainment, sponsoring acquisition/handling, PR and cooperations for the seventh year running.